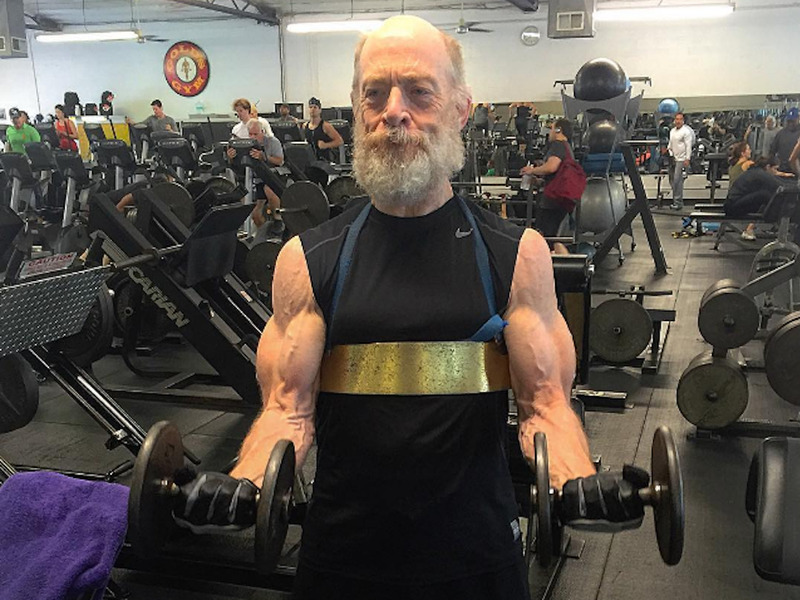 J.K. Simmons isn’t playing a superhuman, super strong hero in the upcoming “Justice League” movie. He’s playing a normal human, but you wouldn’t guess that after seeing how jacked the actor got for the role. Simmons has been working out to beef up for the part, and fitness professional Aaron Williamson shared some crazy pictures of his occasional training buddy’s astounding new muscles. Past depictions of Commissioner Gordon haven’t been nearly as buff as Simmons currently is. Typically, Gordon’s more of a strong but wiry character, closer to how Gary Oldman played him in Christopher Nolan’s Batman trilogy. “Justice League” could be taking its inspiration from a recent Batman comics storyline where Gordon actually was Batman for several months, and was therefore more physical than normal. Or, more likely, director Zack Snyder thinks it will be cooler if everyone in his movie is buff as hell. “Justice League: Part One” is currently set for a November 17, 2017 release date.